Right after the Alaska Purchase (1867), Nybom took advantage of an opportunity that only he knew from his life as a captain for the Russian-American Company. First he and some partners acquired a small brig for $4,000 under the name Hansen, Nybom, and Co. The group set sail for the Pribilof Islands in the Bering Sea. The winter arrival of the group concerned the native Aleuts, but they immediately recognized the ship’s captain. Nybom and his partners collected 11,000 seal skins with the help of the Aleuts. Leaving one man behind to watch the island, the remaining partners returned to San Francisco. There they sold their 11,000 seal skins for $500,000 to the Hutchinson, Khol & Co. Hutchinson, Khol & Co. had bought most of the warehouses and ships of the old Russian-American Company for $350,000. Impressed with the quality and size of his shipment, the buyers offered a merger to Nybom and his partners. In the end only Nybom joined the group and ended up owning 1/7 of the company. Nybom returned to the Pribilof Islands later that year. He now found competition in the island from two different groups; John Parrot of the California Russian Fur Company from San Francisco and Ebenezer Morgan with the William Havens Company from Connecticut. Nybom’s relationships and funding gave him the upper hand. On St. Paul, Nybom was able to procure 132,000 pelts. On the neighboring island of St. George, Nybom was able to procure 65,000 pelts. Nybom had out maneuvered both competitors. 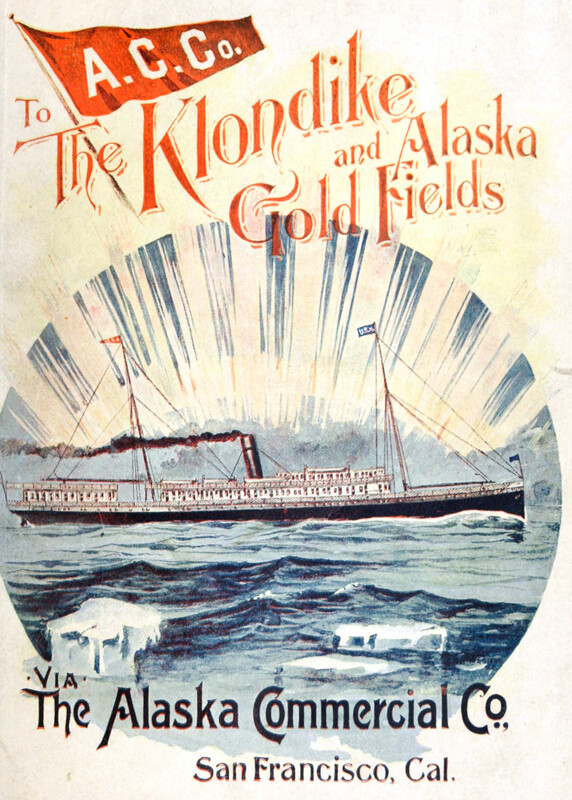 Hutchinson, Khol & Co. would become the Alaska Commercial Company and ultimately buy out the two rivals. But also that season, Hutchinson, Morgan, and Nybom recognized the potential devastation that could emerge to the seal population once word of the islands got out. Hutchinson and Morgan used their connections to urge the Treasury Department and Congress to protect the Pribilof Islands from over hunting. The Alaska Commercial Company acquired the rights to collect 100,000 seal pelts per year from the Pribilof Islands. In return ACC paid the US government $9.7 million for twenty years of those rights (1870 to 1890). The Alaska Purchase was only $7.2 million. Reports indicate that Nybom remained master of his own ship, the St. Peter, until at least 1877. Nybom was a conscientious trapper. He knew that continued success came from working with the herd. For instance, they targeted only weaker bachelor male seals. Some say that this practice improved the herd. In 1871 on Tiuleni in the Commander Islands, Nybom found the seal population in peril. He declared a ban on sealing on the island and left a ship as a guard. The seal population recovered within two years. Nybom, now Niebaum, also testified at the Bering Sea Arbitration tribunals in Paris in 1892 on conscientious trapping. The arbitration expanded protection for migrating seals. Further protection came with the North Pacific Fur Seal Convention of 1911. The Alaska Commercial Company became the largest fur trader in the world. Trading in sea otter, seal, fox, beaver, and bear pelts. The net profit from seal pelts alone over the twenty years was $18 million. The company had 91 trading posts, including two in Russia. Each post included churches, schools, and healthcare which was provided to the natives. During the twenty years, the firm had moved into other industries, like canning salmon with fishing fleets, mining, retail trading (supplies), as well as passage into Alaska. Alaska Commercial Company lost the lease on the Pribilof Islands in 1899 after the twenty year contract expired. The new company that took over wasn’t as selective in their hunting which led to a decrease in the seal population there. There was also a lot of pelagic, at sea, sealing occurring that was also not selective. This led to government control over the island rather than lease holders. But by then Niebaum had moved his attentions elsewhere.